Create a flawless canvas with Shiseido DAIYA FUDE Face Duo Brush, a double-sided face brush with a gel tip blender to one end and synthetic brush head to the other. Compatible with cream, powder, liquid and gel makeup products, the versatile brush allows you to apply and blend with seamless results. 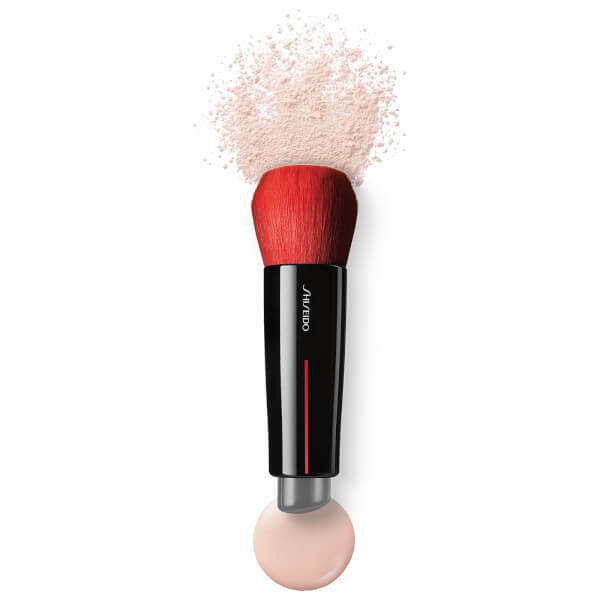 The gel tip blender has a bouncy texture that mimics the effects of fingertips; it adapts to the contours of the face and expertly deposits pigment for full, even coverage. The red, diamond-cut, synthetic brush head has a soft and fluffy exterior, but is built with Hidden Core Technology for enhanced sturdiness and shape maintenance. Densely packed bristles form a durable interior, surrounded by soft bristles for a streak-free finish. 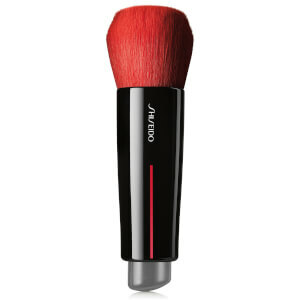 The ergonomic makeup brush is hand-crafted in Japan by a team of experienced artisans.